BlackwaterBLUE from monkster.com: Will Chelsea have what it takes to challenge? Will Chelsea have what it takes to challenge? This is a big summer for Chelsea, as anyone who follows the club will know. They have to show that they mean business in the transfer market and that they’re willing to put together a title winning team again. Manchester United have now won four titles out of five. For a team that was so dominant under Jose Mourinho, it has been a depressing few years. What made last season so frustrating is that United just weren't that great: not a vintage side and away from home they were incredibly below par. What won them the title, in the end, was their ability to grind out results when they weren’t at their best. This is something that Chelsea used to do so well under Mourinho. The mental discipline which led them to back-to-back titles has been lost and they desperately need to get it back if they are to challenge again. This season is going to be the toughest since Roman Abramovich bought the club in 2004. Expect Arsenal and Manchester City to be challenging, perhaps bolstered by two or three additions. Liverpool will also be a danger, if they can carry on the form which propelled them to sixth in the table under Kenny Dalglish, and they'll certainly have money to spend. Chelsea can’t afford to miss out over the next couple of months. First task is to sort the manager situation: if Guus Hiddink does become the new coach (as is now widely expected), I for one will be delighted. He was superb at the end of the 2008/09 season. The team played great football and the players seemed to respect Hiddink and he certainly knew how to get the best out of them. Could he be the man to turn Torres’ Chelsea career around? Who should be brought in? Someone to partner Torres up front? Someone creative who can sit in the middle of the park and make things happen? Daniel Sturridge was superb on loan at Bolton and must surely be given a chance to prove himself. 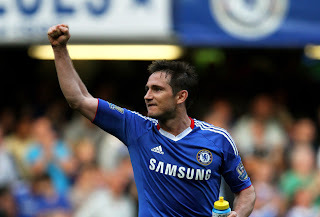 But what of Drogba, Anelka and Lampard - have they had their day? Chelsea also need to improve out wide: Malouda had a very poor season and Kalou is hardly someone who can take on two men and deliver a killer cross. Defensively, things are as good as they have ever been and the acquisition of David Luiz has been quite tremendous. It would be disappointing if new attacking players were not added to the squad over the next couple of months. There are rumors swirling around about the potential signings of Neymar, Romelu Lukaku, Wesley Sneijder and Luka Modrić. Are the Blues prepared to go head to head with United and City for the signatures of these kind of players? You can bet that Sir Alex Ferguson will be trying to sign at least one of these players and Chelsea need to give him a run for his money. Furthermore, do Chelsea still have the hunger to be the best team in Europe? Is Roman Abramovich prepared to shell out another £100 million (or more) to bring in the kind of players who will make his team genuine challengers again? Or have Chelsea simply been 'punching above their weight' in recent times and ultimately a drop in standards was inevitable?